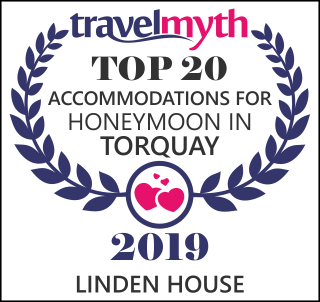 Linden House is an elegant a six bedroom Victorian Villa with beautiful gardens – centrally situated for all that Torquay has to offer. Linden is owned and run by Mike & Carole who acquired the property in early 2017 and have endeavoured to update and renovate the Villa to ensure Linden is worthy of its Five Stars. Excellent free Wi-Fi in all rooms. Onsite treatment room (Aromatherapy / Chiropody). Elegant lounge to relax in.